The superstore of the pharmacy chain 36,6 in Moscow. Walgreens Boots Alliance has bought a 15 percent stake in a Russian pharmacy chain. According to Russian pundits, the country’s commercial drug market can be very promising for foreign investors. 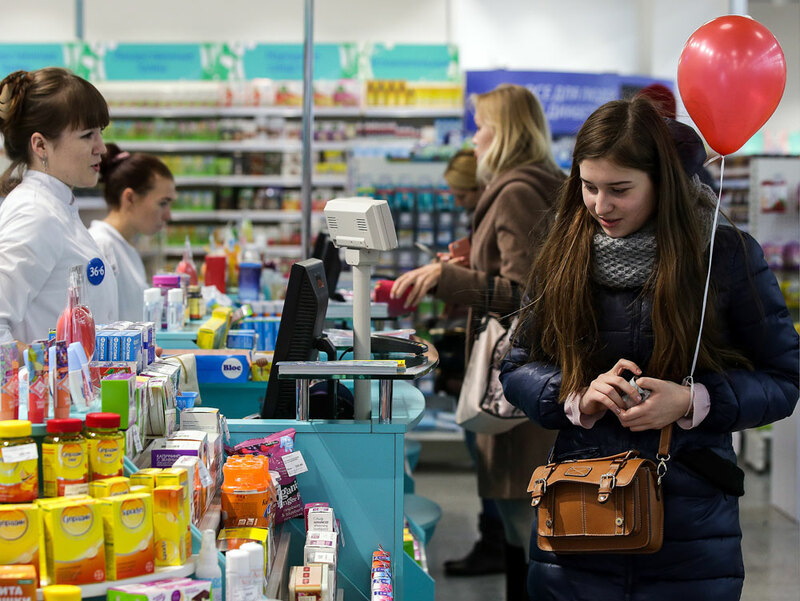 The largest U.S. retail pharmacy, Walgreens Boots Alliance (WBA), has become the owner of a 15 percent stake in the Russian pharmacy chain 36,6 (the share in the Russian pharmaceutical market amounts to 7.8 percent). In return Walgreens Boots Alliance has sold Alliance Healthcare Russia, its Russian distributor, to 36, 6. In future WBA will be able to hold a controlling interest in 36,6. Walgreens Boots Alliance is the world's largest pharmaceutical company. It operates 13,100 stores across 11 countries, with over 350 distribution centers delivering to more than 200,000 pharmacies, doctors, health centers and hospitals each year in 25 countries. "We’ve been expecting WBA to enter the Russian retail market for a long time," said David Melik-Guseinov, head of the National Research Institute of the Moscow Department of Health. Melik-Guseinov, himself the former manager of a large pharmacy chain, said that the company Alliance Boots (the firm’s name prior to its merger with Walgreens in 2014) was close to buying 36, 6 in 2007, but the financial crisis of 2008 crabbed the deal. "Today’s 36,6 pharmacy chain is the right choice for WBA," said Melik-Guseinov, explaining that the company actively consolidates its assets and is one of the market leaders. According to Sergei Shulyak, general director at DSM Group, the Russian commercial drug market may be quite interesting for foreign investors in the long term – in the next 7-10 years. Before the crisis it was the world's third fastest growing market (along with China and Brazil), however, due to the devaluation of the Russian currency the market has since decreased by about 30 percent in dollar terms. According to DSM Group, the growth of the commercial drug market in 2015 amounted to 9.4 percent – in monetary terms it amounted to $11.1 billion. This text is based on materials published by Kommersant and Vedomosti.